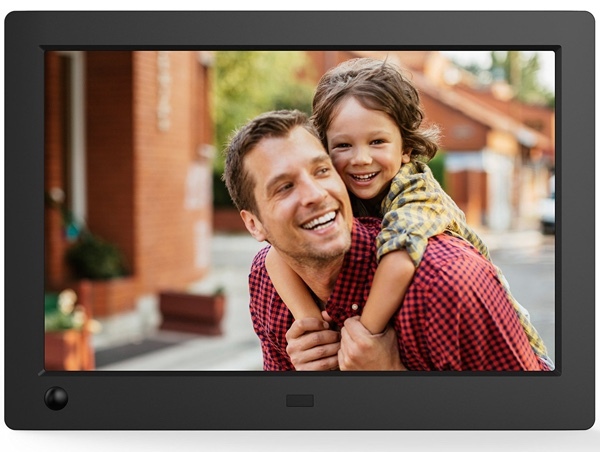 If you happen to be in the market for a gorgeous digital photo frame, a stunningly designed ultra-slim keyboard for iPad, or even a high-speed microSD card for your smart devices, then you have arrived at the right place. Check out the deals and find something that piques your interest. But, perhaps, more importantly, you’re definitely going to find something that appeals to your wallet. Photos and videos are extremely emotive and can take you on a journey of remembrance. Some people love getting out the physical photo albums but others love to embrace technology and bring photographs to life digitally in the home. With this deal, there is definitely something for everyone. Just the model name “BarraCude” makes this product sound amazing and ferocious. And, as far as storing data and keeping it safe is concerned with a machine, this is indeed a ferocious beast. 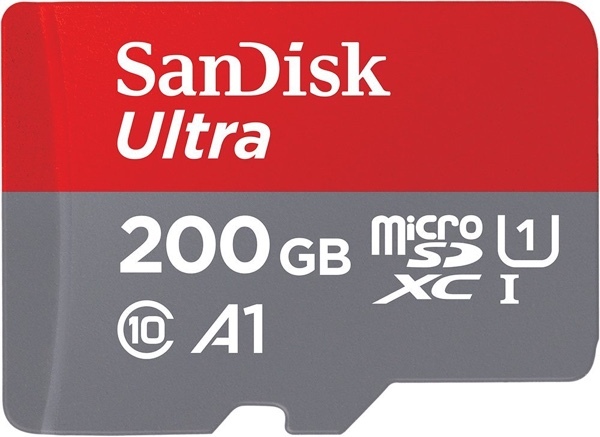 It offers a whopping 1TB of internal storage. It comes from one of the best in the business and is a steal for Prime members at this price. 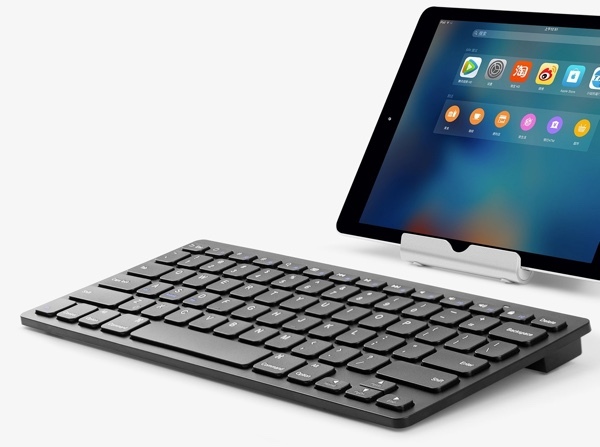 Apple isn’t the only company that can design and develop cutting-edge and slimline portable keyboards. If this piece of work is anything to go by then it’s clear that Anker can also deliver the goods when required at an exceptionally low price. 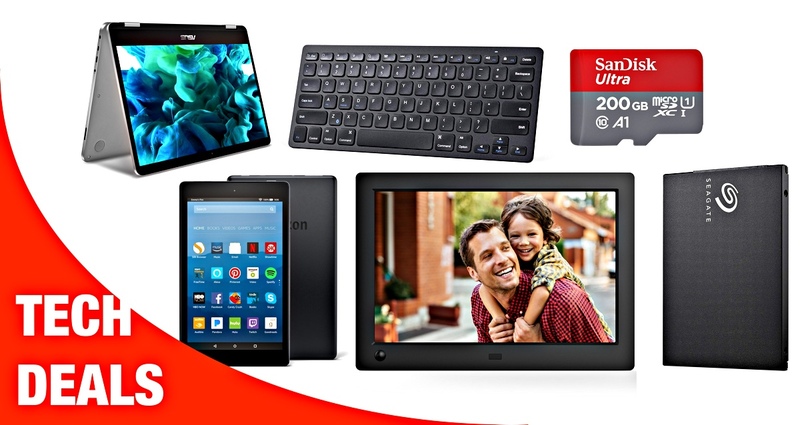 Amazon is at it again with its ridiculously low priced tablets. This time, you’re going to get an 8-inch model with Alexa capabilities and built-in special offers. 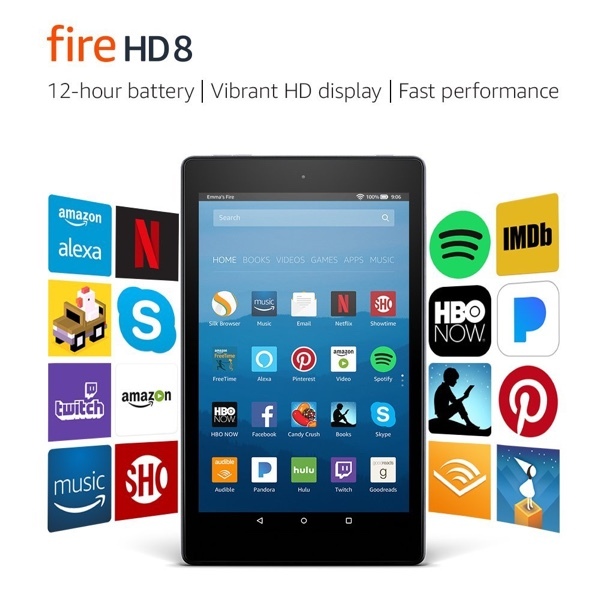 $59.00 gets you a choice of colors, 32GB of storage, and a stunning HD display. We all need memory cards in our lives at one time or another. It could be for a digital camera. An Android smartphone or tablet. Or even to stick one inside of a drone to fly over the river and capture glorious 4K videos. Whatever the use case, SanDisk and Samsung have you covered. Powerful and efficient. Sleek and utterly beautiful. Portable and lightweight. 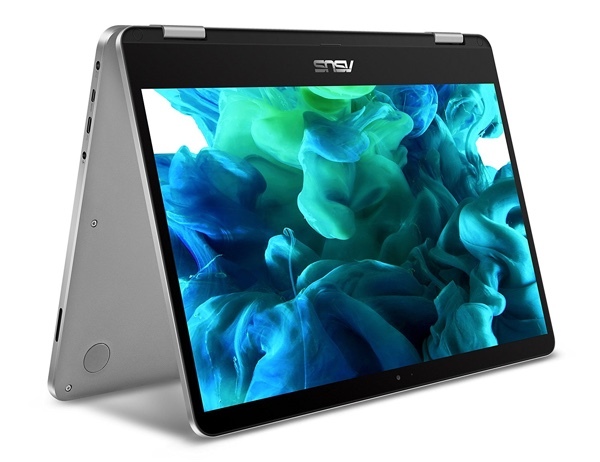 Just a few adjectives to describe this stunning little 14-inch touch-screen laptop being offered by ASUS. You may love the fact that it comes with 4GB of RAM and fingerprint security. 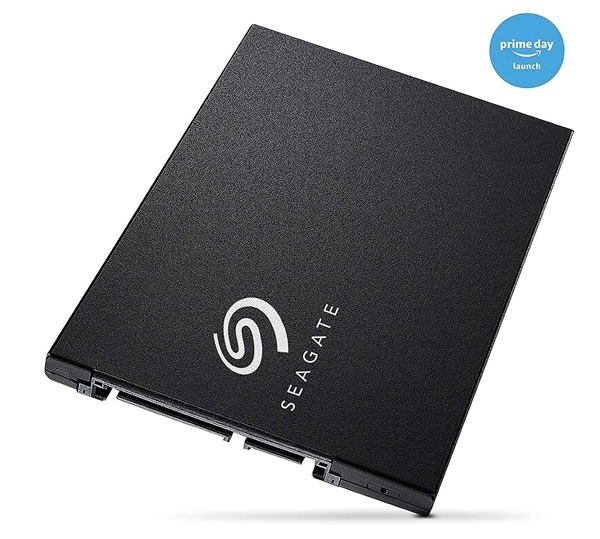 You may love the fact that it’s gloriously thin and visually stunning. Or, you may just love the fact that there is an immediate $100.00 saving to be made with the purchase. Whichever is true, you’re guaranteed to have a stunning gadget afterward. 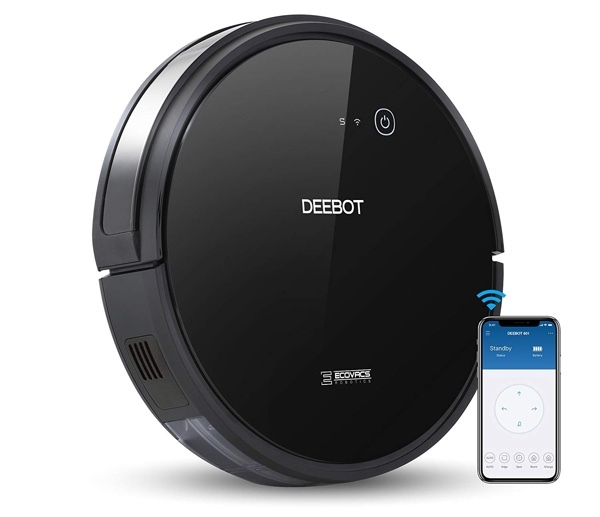 Last but not the least, there’s a hot deal on the ECOVACS DEEBOT 601 Robot Vacuum Cleaner. As the name suggests, this thing’s super smart and will clean your place up without you even realizing it. We know you want it.